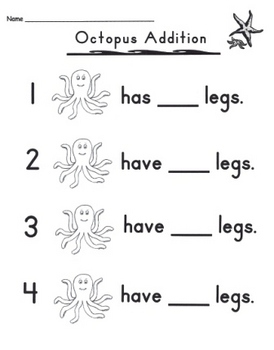 One addition activity adding octopus "legs" to find sums. 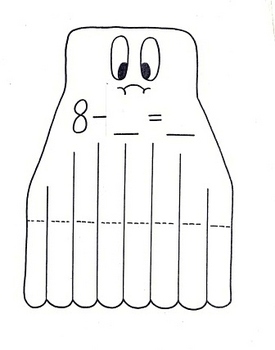 Small stuffed animals add a nice touch to the recording sheet for counting. 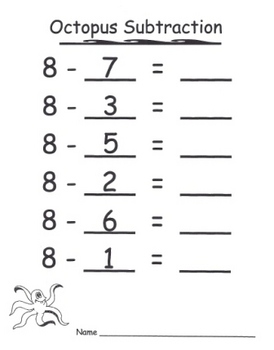 The subtraction activity uses a paper octopus with bendable tentacles to fold up for subtracting from eight. 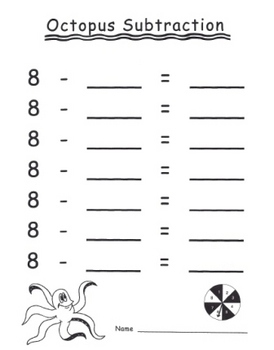 There is one set of pre-made equations and another for students to use a spinner.